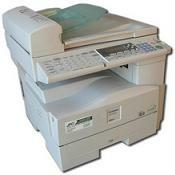 Ricoh Aficio 1515 All-in-one Laser Copier Printer Driver Download for Operation Systems. Printer driver for Windows: It is optimized for the Windows GDI. High performance printing can be expected. Regularly used settings can be saved as a “one-click icon” in the driver interface. These settings can be reused easily by clicking the icon. TWAIN scanner driver for network connections. This PPD installer is used to install a PPD (Postscript Printer Description) file on Mac OSX. Once the PPD file is installed on the system using the PPD installer, the PS driver that comes bundled with Mac OS X can use the information in the PPD to control the print device and enable full functionality.